VARENNES, Quebec — The Jean Coutu Group won a key ruling in a long-running legal challenge by a pharmacist-owner. Jean Coutu Group said Tuesday that the Superior Court of Quebec upheld the royalty clauses in its franchise agreements. In particular, the court determined that the clauses don’t violate section 49 of the Code of Ethics of Pharmacists of Quebec, which prohibits pharmacists from sharing profits from the sale of drugs or professional fees with a non-pharmacist, the Quebec-based chain drug retailer noted. The case stemmed from a court action brought in November 2008 by Jean Coutu franchisee Michel Quesnel. The pharmacist-owner had been fined by the Ordre des Pharmaciens du Quebec, a pharmacy practice professional group, for violating its code of ethics by sharing profits and fees from the sale of medications with a non-pharmacist, the Jean Coutu Group. Quesnel filed a motion requesting that the royalty clause in the Jean Coutu franchise agreement be declared illegal because it required franchisees to pay a percentage of sales from drugs and professional fees to the company. On Tuesday, Jean Coutu Group said the Dec. 29 ruling by Justice Michèle Monast indicates that its franchisees pay royalties “corresponding to the fair value of the rights granted to them and the goods and services provided in return.” Those include support services and benefits from the use of the Jean Coutu Group name and trademarks in the operation of their businesses, the company said. “We are pleased with this ruling that will provide reassurance to the pharmacist-owners affiliated with our network as to their franchise agreements and regarding the value of the goods and services they receive,” Jean Coutu Group president and chief executive officer François Coutu said in a statement. Overall, Jean Coutu Group’s retail pharmacy network encompasses 418 franchised drugs stores in Quebec, New Brunswick and Ontario under PJC Jean Coutu, PJC Clinique, PJC Santé and PJC Santé Beauté banners. 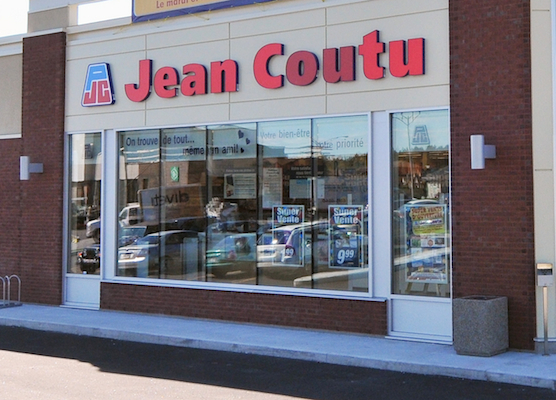 Another legal action involving Jean Coutu franchisees is still pending. This past summer, a class-action suit was filed against the company in the Superior Court of Quebec by 284 individuals representing 306 franchises in the province. Sopropharm, a Montreal-based organization representing the majority of pharmacist-owners operating under the Jean Coutu banner, claimed the company has overcharged franchisees for services. Jean Coutu Group said at the time that it would contest the action.